This is the highest award offered. Named after Sargent Shriver, the 2016 Distinguished Service Award honors Bettie Vincent, who represents all the qualities Sargent Shriver demonstrated as a champion of many social programs and organizations, including Community Action, to show appreciation for her work in community service. Bettie Vincent has been employed with the Greater Erie Community Action Committee since her birthday on August 23, 1968. 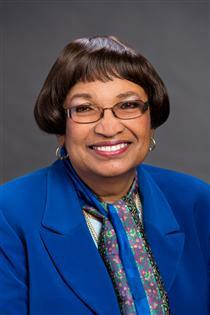 She is the Vice President of Human Resources and has 47 years of experience working for Community Action. Ms. Vincent has been very instrumental in the development of the Greater Erie Community Action Committee from its early years. As the agency celebrates fifty years of service to the Erie community, Ms. Vincent celebrates thirty years of experience in Human Resources and public relations. She has dedicated her career for the past thirty years to the development and implementation of programs to improve the human resources process at the Greater Erie Community Action Committee. Ms. Vincent is responsible for staffing, new employee orientation, employee training, personnel budget review, wage, salary, and benefit administration, and public relations. Ms. Vincent has been heavily involved in many community activities and has volunteered countless hours serving many organizations and boards. She currently serves on the Human Resources Management Association of Northwestern Pennsylvania, Society of Human Resource Management, Erie County Diabetes Board of Directors, Gannondale Residential Center for Girls, Walking in Black History Committee, Catholic Charities, Children Services of Erie County Advisory Board, and Girl Scouts of USA – Erie Chapter. Ms. Vincent has been recognized for her many years of committed service to the community in helping people and changing lives. Ms. Vincent’s certificates and awards include: GECAC Service Award 1973 & 1980; Gannondale Residential Center Service Award; YMCA Black Achievers Award; Othello Myers-Johnson Community Service Award; “Talk Magazine” Influential African Americans in Pennsylvania; Mercy Center for Women “Dynamic Dozen”; and the R. Benjamin Wiley “Spirit of GECAC” award in 2015.